So things didn’t go exactly according to plan this week. I ended up sleeping at my P’s on Wednesday night, so Chicken Marsala got moved to Tuesday. What’s crazy about this is that I work late on Tuesdays, so I needed a meal that could come together quickly. Luckily, this recipe fit the bill! I had a little help from the BOY prepping the chicken. Then threw everything together, while I changed into my PJ’s and unpacked my stuff from work. Yes, I come home from work and immediately put on my PJ’s. Is this normal? Don’t answer that! A weeknight recipe doesn’t get any simpler than this! 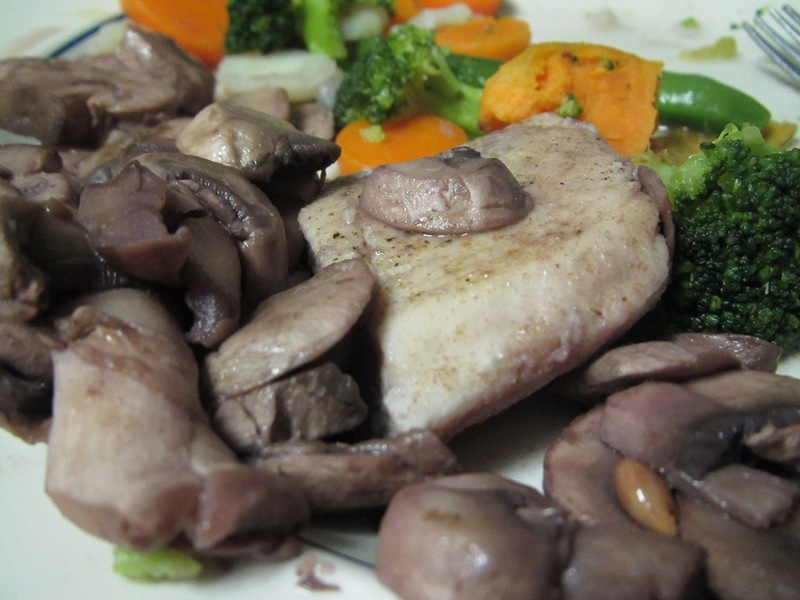 Funny story…the first time, I made this recipe, I didn’t know what marsala wine was. Well, I guess I still don’t know! But last time, I used a white wine (and the recipe was still great), but this time at least I figured out that meant a red. Ha ha! Good news! The leftovers were perfect for lunch this week too! It was a beautiful morning this morning. Much more suited for running than working. So sad! I have taken the week off from exercise to unwind, de-stress and not mess up all the good work done to my ITband during my massage. But I am hoping to wake up tomorrow morning and get in an easy run before heading off to class. Which means that I am going to keep this post as quick as this recipe. Hooray Weekend! Oh wait, I’m spending Saturday and Sunday in class. Place chicken between 2 sheets of heavy-duty plastic wrap; pound each piece to 1/2-inch thickness using a meat mallet or rolling pin. Sprinkle both sides of chicken evenly with salt and pepper. Place flour in a shallow dish. Dredge chicken in flour, turning to coat; shake off excess flour. Heat olive oil in a large skillet over medium-high heat. Add chicken; cook 3 minutes on each side or until browned. Remove chicken from pan; keep warm. Add mushrooms, wine, broth, and juice to pan; reduce heat, and simmer 10 minutes or until mixture is reduced to 2/3 cup. Return chicken to pan, turning to coat well. Cover and cook 5 minutes or until chicken is done. Sprinkle with parsley. The minute I saw this recipe in Clean Eating Magazine, I knew I wanted to make it soon! My mouth was watering just checking out the pictures and it looked like a fresh idea to our meal rotation that wasn’t too complicated. Perfect for a quiet night in after a long holiday weekend! Which means I made it Monday night. I did skimp on the homemade dip though and just picked one up at the store. I was a huge fan of this recipe before I even put it into the oven. Three bowls, four ingredients, and it all reminded me of a fun art project. Don’t these guys look tasty? The whole time, I kept thinking about what else can I dip into coconut/panko and bake? 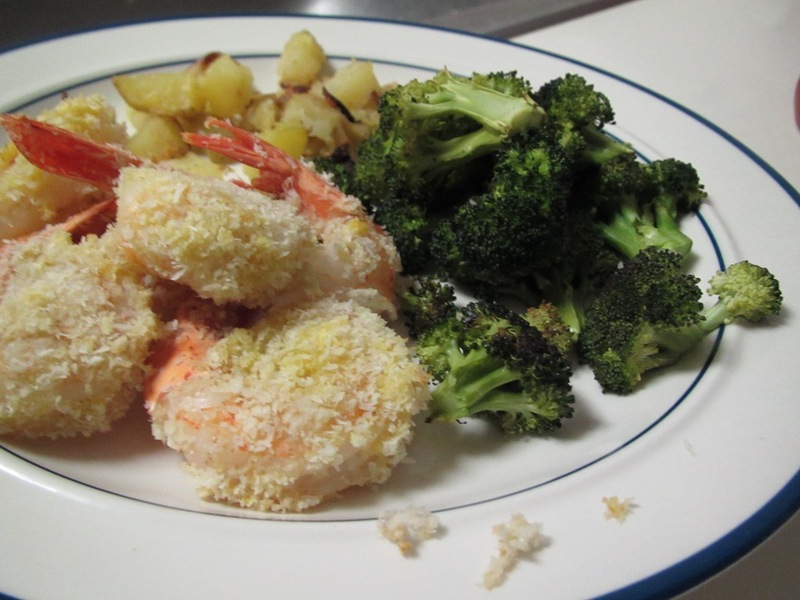 I would suggest baking them slightly longer than suggested to get your shrimp EXTRA crispy! In less than 20 minutes, dinner was served! And it was a really good dinner! We will definitely be making these again soon and adding them to our meal planning rotation! I am a huge fan of a quick, easy, healthy, and satisfying dinner! And I think that you will enjoy this recipe too! Preheat oven to 375 degrees. Line a large rimmed baking sheet with foil and mist with cooking spray. Place 3 wide, shallow bowls on work surface. To first bowl, add flour; to second bowl, add eggs and beat lightly; to third bowl, add panko, coconut, salt, and pepper and stir to combine. Pat shrimp dry with paper towels. 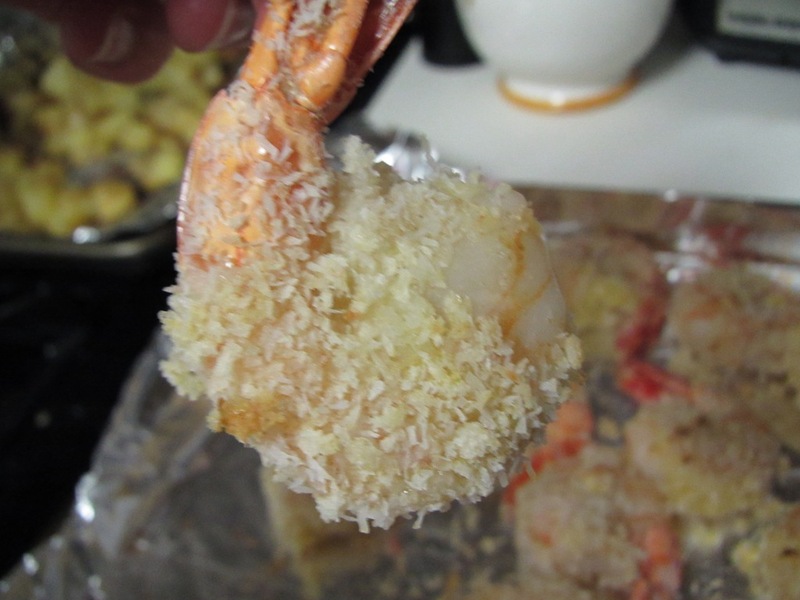 Holding 1 shrimp by the tail, dip in flour, shaking off excess. 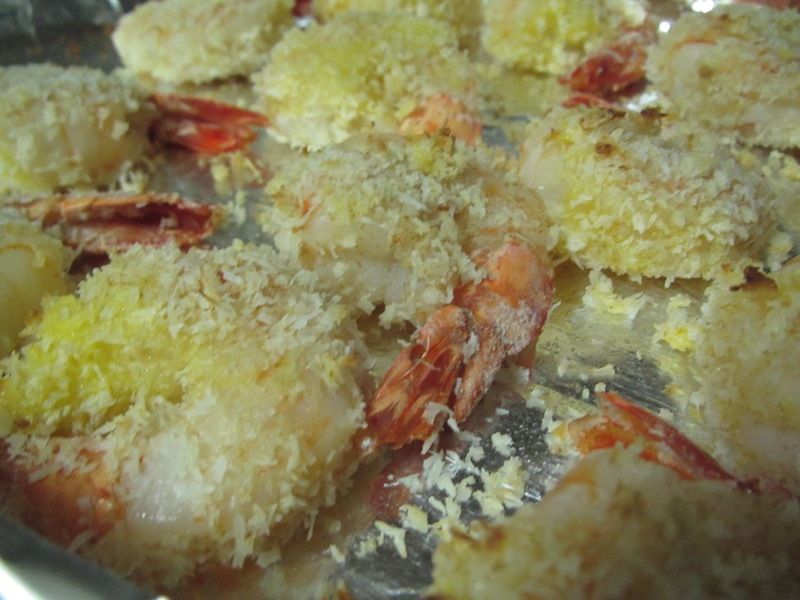 Quickly dip in egg, then in coconut mixture, coating thoroughly. Place on baking sheet and repeat with remaining shrimp. 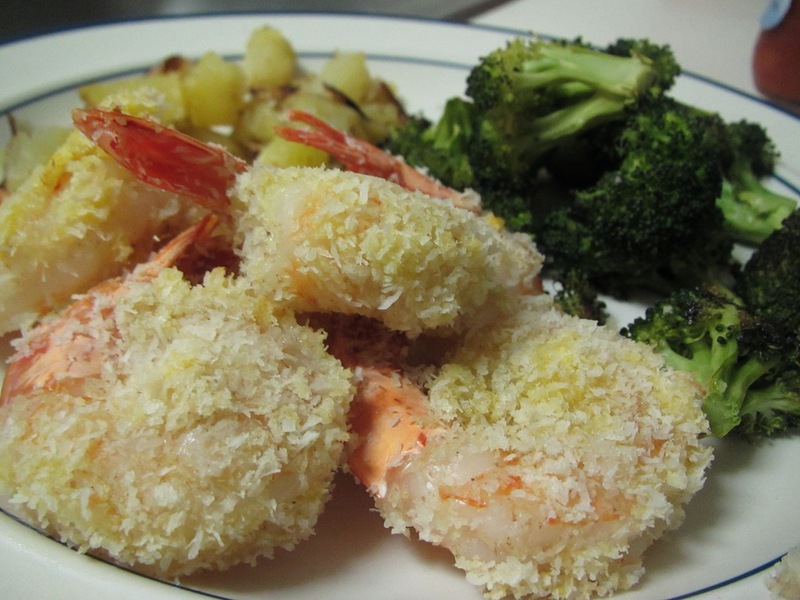 Bake for 11 minutes (or longer if needed), turning once, until shrimp are firm to the touch and browned. So I owe you all a plank! I didn’t forget about the plank challenge but I was so tired after Saturday’s race that I wanted to rest a day in order to give this 4 minute plank a fighting chance. My longest plank to date was 3:45 and it was brutally tough…everything hurt. I knew there was no way I’d make it to 4 minutes with a tired body. I wasn’t even sure if I could do it with a totally fresh body, but knew I needed to try. So after dropping by aunt off at the airport this morning (so sad to see her go, but super excited to see her again in 3 weeks! ), I came home for my last plank trial. Yesterday, I tried to convince the BOY to go to the grocery store with me. He was having none of it, and didn’t have much to add to this week’s meal planning. When he headed off to the library, I took some time to flip through cookbooks, blogs, and my recipe binder to come up with some new ideas. It’s no surprise that we make chili, like every fall weekend. I was thinking it would be fun to try something different but just as warm and comforting. I decided on Chicken Tortilla Soup, which is so thick and hearty it is a meal on its own. This recipe had so many amazing spices that I knew it had to be awesome! I have been having some chicken issues lately. I spoiled myself all summer by buying my chicken at Costco. I spent a little more than at the grocery, but the quality was well worth it. Recently, I haven’t been making it to Costco as often. I picked up chicken at a local grocery store last week for my Chicken Parmesan and the BOY and I both noticed a difference. 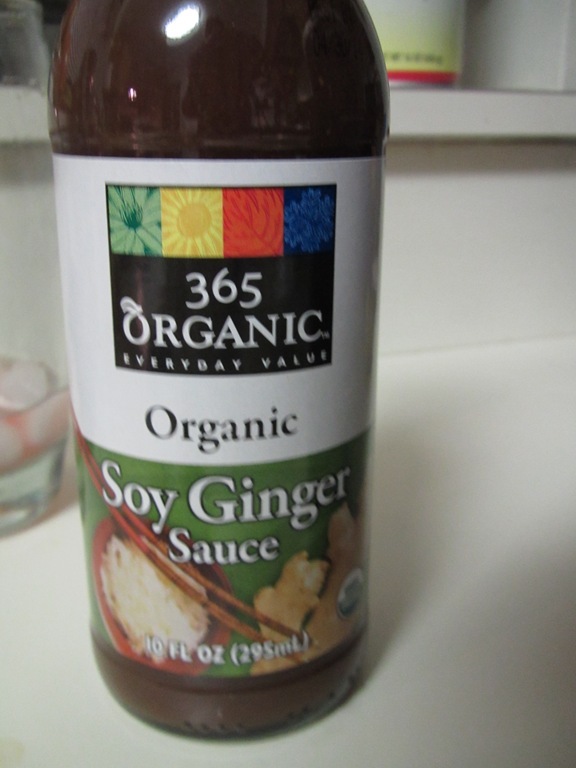 For today’s soup, I purchased an organic brand at a different supermarket. I liked it, but it just doesn’t compare to Costco. Does this happen to anyone else? Luckily, the vegetables in this soup are so fresh and delicious that the chicken is just a compliment. Another easy compliment is home made tortilla strips. You can buy corn tortillas for about 30 cents, and they are the perfect final touch to your meal. I had some issues with lighting last night, so I’m not sure that the photos will do this soup any justice. The BOY made a 3 layer bowl, complete with cheese, sour cream, scallions, and topped with tortilla strips. He was moving so quickly, it was tough to get a clean shot! I poured myself a huge bowl for dinner to settle in and watch the Bear’s game. In case you are concerned with my timing, we DVRed the noon game so the BOY could go to the library and watched it Sunday night. It was a super exciting game, but nothing compared to this incredible soup! I really enjoyed this recipe and wouldn’t change a thing EXCEPT, I might attempt to make it in the crockpot. It would have been a little easier to shred up the chicken and taken less time in the kitchen. I’m definitely adding Chicken Tortilla Soup into our weekend chili rotation. This recipe earned a spot on the team! Can you tell I’m in a good sporty mood after the Bear’s victory?! For a similar vegetarian soup, I recommend this Taco Soup. So I almost didn’t have room for last night’s dinner of Chicken Tortilla Soup because I totally chowed down on Maple Banana Bread. 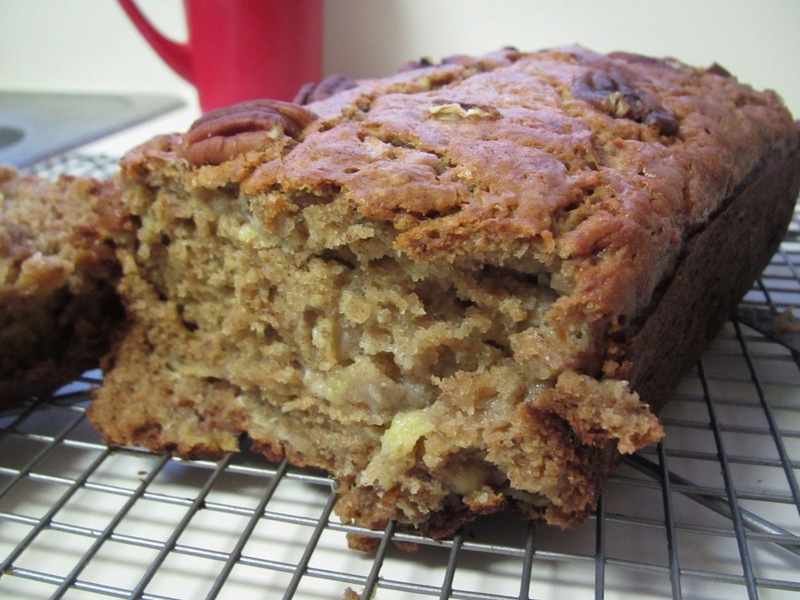 This might be one of the tastiest versions of banana bread that I have made in awhile. The maple syrup adds the perfect amount of sweetness and flavor and the texture is divine. I highly recommend trying this recipe. It will make for wonderful holiday gifts! And this morning, I turned it into French toast. All I can say is…Yum! Preheat the oven to 350 degrees. In a small bowl, mix the cumin, chili powder, garlic powder, black pepper, kosher salt, oregano and paprika. Brush both sides of each chicken breast with a light coating of olive oil. Sprinkle a small amount of the spice mixture onto both sides of each chicken breast and transfer to a non-stick baking sheet. Roast the chicken in the oven for 20-25 minutes, turning once, until the chicken is cooked through. Allow the chicken to cool for about 10 minutes, and then shred. While the chicken cooks, heat the remaining olive oil over medium heat in a large Dutch oven. Add the onion and garlic, along with a pinch of salt, and saute for 3-4 minutes until the onions are very fragrant and they begin to soften. Add the bell pepper, jalapeno pepper, lime juice and cilantro and stir well. Cook for another 3-4 minutes until the peppers begin to soften. Add the remaining spice mixture, black beans, green chiles, diced tomatoes and the corn and stir well. Cook for about 6 minutes until all of the vegetables are tender. Add the tomato paste and stir to combine. Slowly stir in the chicken stock and add the cooked & shredded chicken and bring the soup to a boil. Cover, reduce to a simmer and cook for another 15 minutes, stirring occasionally. Add salt & pepper to taste. I discovered sweet potato pie during my time living in Memphis, TN. I even remember where I had my first taste. I was skeptical at first but the BOY ordered it for dessert, so I picked up my plastic fork and took my first bite. It was a party in my mouth from first taste. Sadly, I don’t have any pictures of this amazing moment, but I do have tons of pictures of the BOY enjoying fried chicken in that same spot! Every visit to Gus’s since then, whether with the BOY, my friends or family, sweet potato pie was ordered. Often, multiple slices! Whenever I make my way back to the mid south, there are a few restaurants that I HAVE to visit and sweet potato pie at Gus’s is always top of my list! I actually had never made a pie when I attempted my first Sweet Potato Pie as a new blogger for New Years Eve 2010-2011. It turned out incredible! Can you believe that I haven’t made one since? It was the first thing that I suggested when I knew we’d be home at my parents for Thanksgiving this year. Since I had to work Tuesday and Wednesday, I got started a little early with the sweet potatoes. The recipe suggests running your potatoes through a fine mesh sieve. After 1/2 of a potato, I had some serious carpel tunnel and a centimeter of sweet potato. I figured that there had to be a better way of doing this, so I pulled out my immersion wand, which worked out so much better. I highly recommend going that route first. I had plenty of sweet potato puree that I packaged up and sent home to my parents. Thursday afternoon, I was ready to make my pie. I bought a premade frozen crust from Trader Joe’s. The only problem is that when I tried to thaw it out, it broke apart. I was able to push everything back together to form it into a crust. The pie crust baked up just fine. It didn’t look real fancy, but it tasted really good! Meanwhile I got to work on the filling by mixing together the sweet potatoes with plenty of spices! I had some help pulling everything together since the majority of us where in the kitchen working on dinner by this point. The pie went into the oven just as we sat down for dinner. 40 minutes later, the pie was ready. It looked beautiful and went straight from the oven to our table. Along with a pecan pie and baked apple cobbler and of course Cool Whip as a topping! The sweet potato pie was fantastic! It is one of my all time favorite pies, and I was so happy to share it with my family! After dinner, we all retreated to the living room to watch some football and work on a puzzle. My brother made a fire, which was perfect since the weather had really cooled down. The puzzle making was intense as we all battled to be Puzzle Master and find that key piece. We did have to take one dessert break, which became BYOF (bring your own fork) with no plates required…ha ha! We had our puzzle finished before heading off to bed with full tummies and happy hearts! And I even had leftover pie for dessert the rest of the weekend! Rub the sweet potatoes with the vegetable oil and roast in the oven for 45 to 60 minutes, until very tender. Remove and set aside to cool. Peel the potatoes and pass the flesh through a fine mesh sieve using a rubber spatula. 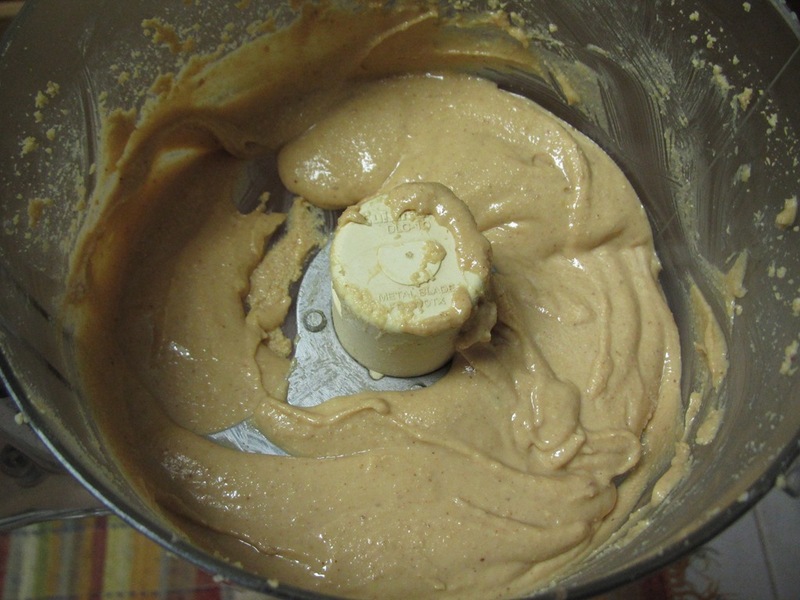 (Or use your immersion blender…so much easier and faster!) 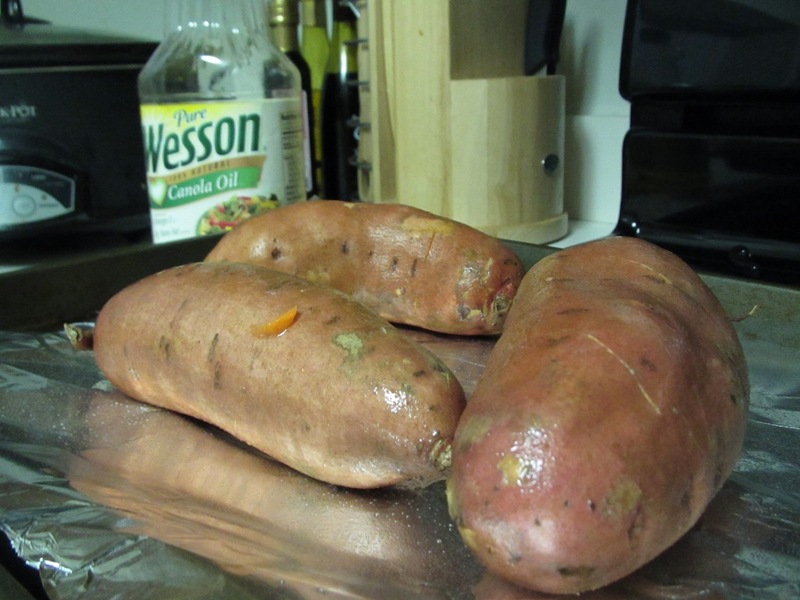 You should have about 1 1/2 cups of smooth sweet potato puree. 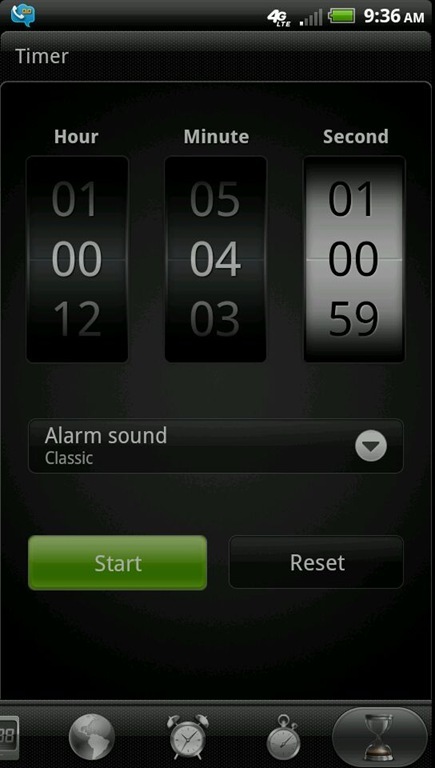 Oh, how I love waking up with no alarm to a full day ahead of me. Truth is, I purposely made NO plans for today. I knew that Wednesday through Saturday were going to be pretty busy, and I wasn’t sure how sore I would be after yesterday’s half marathon. I wanted to a day to chill out, get a few things done around the house, and hang with the BOY before I lose him to finals prep. I’m adding in a few shopping stops, but mostly, I just wanted a lazy day off! Can you blame me? 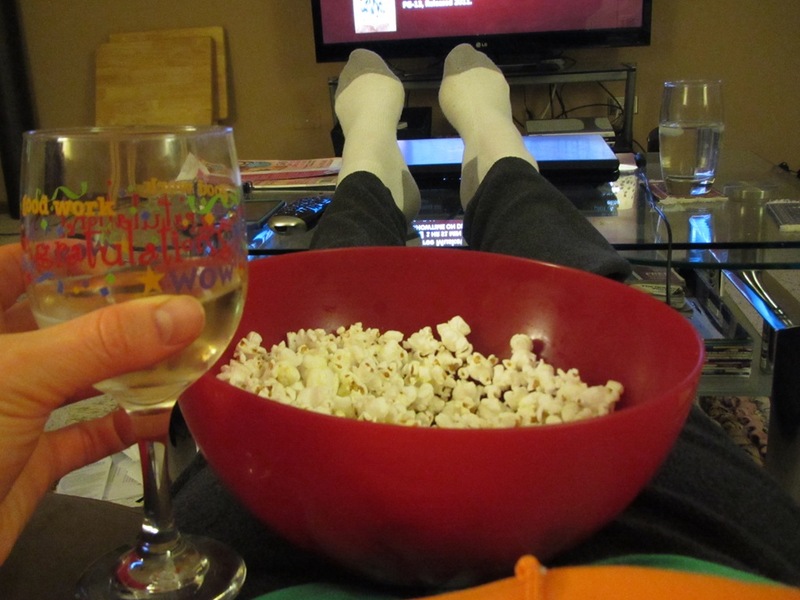 Yes, this was last night’s big event laying around in my PJ’s and compression socks, eating my favorite snack (popcorn with olive oil), and drinking a little bubbly out of my congratulations glass. Only fitting after yesterday’s race! I woke up starving and although I really wanted something rich and sweet like pancakes, I had the perfect leftovers to make a flavorful Breakfast Stirfry. It was exactly what I needed to get my day started. Although the first half of my day involved sitting on the couch, looking for recipes, and watching Law&Order (I swear if there was an L&O Anonymous, I would be a founding member). Around my 3rd episode, I was actually starting to feel hungry. Usually this happens to me the day after an intense workout, all I want to do is eat all day. I was snacking on an apple with almond butter when the BOY mentioned heading out for lunch. I convinced him to take me to Which Wich? since I was totally craving a veggie sandwich with pesto and hummus! This is seriously the BEST sandwich place EVER! If you have one in your neighborhood, I highly recommend checking it out. Afterwards, I made a quick longer than expected stop at Michael’s. I still haven’t framed my Marathon poster, and for the past year, I have been wanting to hang it in the office. Who knows…there may be more to follow! With the BOY at the library, I finally had a few quiet hours at home. I threw some banana bread in the oven and FINALLY sat down to watch last week’s Grey’s Anatomy. What can I say…I’m still hooked on this show! The house started to smell incredible, which the banana bread gets credit for. 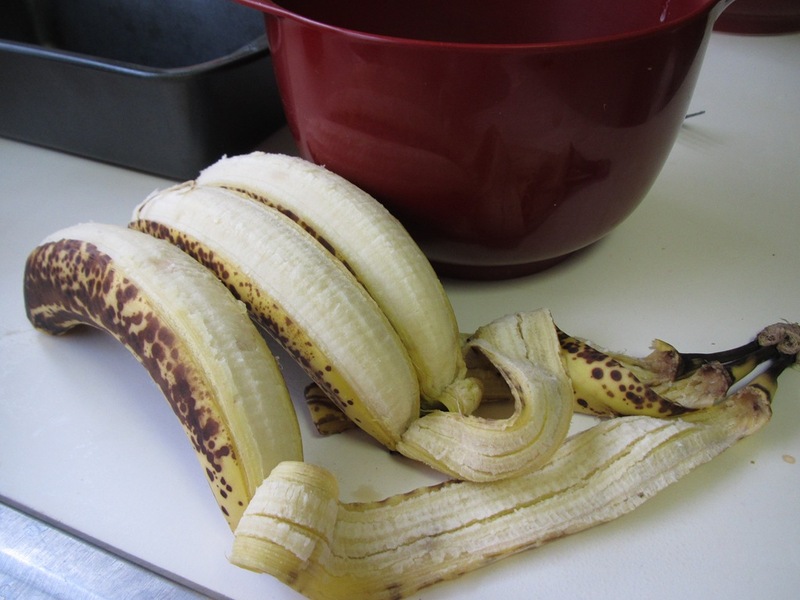 I had some over ripe bananas and wanted to try something new and fall-tastic. This isn’t easy considering all of the banana bread recipes I’ve made, but after a few minutes searching online, I came across this recipe for Maple Banana Bead on Baker By Nature. She used oat flour, so I just subbed in white flour. And because the only Greek yogurt I have is pumpkin flavor, I used that too. It goes with the fall-tastic theme! I debated whether or not to add in some nuts for crunch, but in the end placed a few pecans along the top of the bread. The batter was tasty, but not as maple flavored as I expected BUT my house is overflowing with sweet maple aroma. I can’t wait try it. Because let’s be honest…along with some wine in a Congrats glass, banana bread is perfect for recovering from a race on your Day Off. Now I just have to wait for the BOY to come home from the library to watch the DVRed Bear’s game! What do you like to do the day after a race? Because this week was so crazy, I loved laying low today. But…tomorrow I have a 90 minute full body massage. Hooray! Preheat oven to 350 degrees (F). Spray the bottom and sides the loaf pan with non-stick spray. In a medium bowl, sift together the flour, baking soda, cinnamon and salt, set aside. In a separate large bowl, beat maple syrup and eggs with a whisk until light and fluffy, about 5 minutes. Add melted butter. Add mashed bananas, Greek yogurt, and vanilla. Gently mix in dry ingredients. Pour batter into the lined loaf pan and bake for about 1 hour. You guys leave me the best comments! Seriously, I don’t know what I would do without you! Based on your suggestions, I think it’s possible to rename this post ‘How to Have a Stress Free Turkey Trot’! You start by getting a good night’s sleep, eating a filling breakfast, sipping on black tea, checking the weather (25 degrees…yikes! ), bundling up for the day ahead, and putting a smile on your face. Do I look warm and toasty? I only felt warm until I got out of the car. At which point, the BOY and I had 45 minutes to walk around, use the bathrooms, and prep for my race. He pointed out that the end of November was a little too cold for a race. Ya think? It really didn’t feel too cold until this morning since my last few runs have been unseasonably warm and delightful. I was even wearing short sleeves for my 12 miler! About 15 minutes before the race, the BOY and I made our way to the start line. Now, I know I don’t look warm in this picture. The race began and I found my way to a friendly group of runners. I had no idea what to expect so I just put one foot in front of the other. One of my favorite things to tell new runners before their first race is to ‘Enjoy Every Mile’. Feeling bitter cold through my fingers and toes, I decided to focus on this saying throughout my race. During a run, every mile brings new views, new people, and new experiences. I look forward to each mile…sometimes it is excitement and other miles offer new friendships and scenery. I can’t stop window shopping cute jackets and shoes on the other runners, and there are always a few running patterns to observe (I call this an occupational hazard…ha ha!). About 3 miles into this morning’s race, I was starting to warm up and keeping an impressive pace. The only problem…I really had to pee. You can ask how this happens after using the bathroom multiple times before the race, but I can only blame it on the shivering cold and possibly a nervous bladder. I decided to make a quick (only 1 minute) bathroom stop in the middle of the race for fear that my stomach would become upset. The hardest thing about the cold was the frigid air streaming in and out of my lungs. I was really looking forward to making my way to mile 10 where I knew that my Dad, Aunt, and the BOY were waiting to cheer me on. My family came at the perfect time since I was starting to lose some steam. My Aunt lives in Florida, so she was all bundled up, which of course made me smile! At this point, I was only checking my mile splits and had no idea what my overall time was. I grabbed 2 glasses of hot apple cider and some pretzels while constantly walking to prevent my legs from starting to cramp up. I was so super excited to have finished such a speedy race (especially with the cold weather and the nontraditional race prep). I thought that my previous record was around 1:51, but when I got home, I double checked. My PR in a 2008 half marathon was 1:50:24….so close today! But, I did stop for a potty break. So I’m calling this one a tie. That’s ok….right? Next year, I will break 1:50…mark my words. But today, I am thrilled with my accomplishment and my ability to ENJOY EVERY MILE (even the cold ones)! Plus spending the rest of the day with my family was great! Especially digging into this mushroom and spinach cheese-less pizza! Perfect post race fuel! After which, I came home to collapse on the couch in my compression stockings and rest my tired legs. I am pretty stiff, but proud of today’s effort! Thankfully, I have already scheduled a Monday morning massage. I am so lucky to have the most amazing support system and love sharing my races with them! Thanks guys for standing out in the cold just to watch this half crazy girl finish another half marathon! It is with this post that I officially end the 2012 Race Season! But I am already planning ahead to next year. Did anyone else run a turkey trot? What do you have scheduled for next year? *I think this mile marker was a little off because I wasn’t running this fast nor was mile 5 that slow!